Code of ethics | StarBulk Carriers Corp. 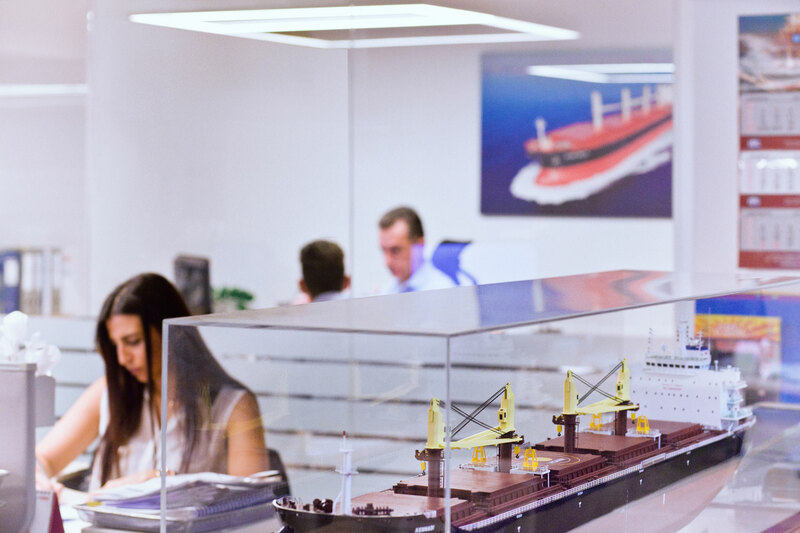 The Board of Directors of Star Bulk Carriers Corp. (the "Company") has adopted this Code of Ethics (the "Code") for all of the Company's employees, directors, officers and agents ("Employees"). A conflict of interest occurs when an Employee's private interests interfere, or even appears to interfere, with the interests of the Company as a whole. While it is not possible to describe every situation in which a conflict of interest may arise, Employees must never use or attempt to use their position with the Company to obtain improper personal benefits. Any Employee who is aware of a conflict of interest, or is concerned that a conflict might develop, should discuss the matter with the Audit Committee or General Counsel of the Company immediately. Employees owe a duty to advance the legitimate interests of the Company when the opportunities to do so arise. Employees may not take for themselves opportunities that are discovered through the use of corporate property, information or position. All transactions between the Company and any of its officers, directors and employees or their respective affiliates shall be on terms believed by the Company to be no less favorable than are available from unaffiliated third parties and such transactions will require prior written approval, in each instance by a majority of the Company's uninterested "independent" directors, as defined in the Nominating and Corporate Governance Committee Charter, or the members of the Company's Board of Directors who do not have an interest in the transaction, in either case who had access, at the Company's expense, to its attorneys or Company's General Counsel. It is important that Employees protect the confidentiality of Company information. Employees may have access to proprietary and confidential information concerning the Company's business, clients and suppliers. Confidential information includes such items as non-public information concerning the Company's business, financial results and prospects and potential corporate transactions. Employees are required to keep such information confidential during employment as well as thereafter, and not to use, disclose, or communicate that confidential information other than in the course of employment. The consequences to the Company and the Employee concerned can be severe where there is unauthorized disclosure of any non-public, privileged or proprietary information. To ensure the confidentiality of any personal information collected and to comply with applicable laws, any Employee in possession of non-public, personal information about the Company's customers, potential customers, or Employees, must maintain the highest degree of confidentiality and must not disclose any personal information unless authorization is obtained. Employees must endeavor to deal honestly, ethically and fairly with the Company's customers, suppliers, competitors and employees. No Employee should take unfair advantage of anyone through manipulation, concealment, abuse of privileged information, misrepresentation of material facts, or any other unfair-dealing practice. Honest conduct is considered to be conduct that is free from fraud or deception. Ethical conduct is considered to be conduct conforming to accepted professional standards of conduct. The Company's assets are only to be used for legitimate business purposes and only by authorized Employees or their designees. This applies to tangible assets (such as office equipment, telephone, copy machines, etc.) and intangible assets (such as trade secrets and confidential information). Employees have a responsibility to protect the Company's assets from theft and loss and to ensure their efficient use. Theft, carelessness and waste have a direct impact on the Company's profitability. If you become aware of theft, waste or misuse of the Company's assets you should report this to your manager. It is the Company's policy to comply with all applicable laws, rules and regulations. It is the personal responsibility of each Employee to adhere to the standards and restrictions imposed by those laws, rules and regulations, and in particular, those relating to accounting and auditing matters. Any Employee who is unsure whether a situation violates any applicable law, rule, regulation or Company policy should contact the Company's General Counsel. Because we are a public company we are subject to a number of laws concerning the purchase of our shares and other publicly traded securities. Company policy prohibits Employees and their family members from trading securities while in possession of material, non-public information relating to the Company or any other company, including a customer or supplier that has a significant relationship with the Company. Information is "material" when there is a substantial likelihood that a reasonable investor would consider the information important in deciding whether to buy, hold or sell securities. In short, any information that could reasonably affect the price of securities is material. Information is considered to be "public" only when it has been released to the public through appropriate channels and enough time has elapsed to permit the investment market to absorb and evaluate the information. If you have any doubt as to whether you possess material nonpublic information, you should contact a manager and the advice of General Counsel may be sought. Employees are responsible for ensuring that the disclosure in the Company's periodic reports is full, fair, accurate, timely and understandable. In doing so, Employees shall take such action as is reasonably appropriate to: (i) establish and comply with disclosure controls and procedures and accounting and financial controls that are designed to ensure that material information relating to the Company is made known to them; (ii) confirm that the Company's periodic reports comply with applicable law, rules and regulations; and (iii) ensure that information contained in the Company's periodic reports fairly presents in all material respects the financial condition and results of operations of the Company. Employees will not knowingly: (i) make, or permit or direct another to make, materially false or misleading entries in the Company's, or any of its subsidiaries, financial statements or records; (ii) fail to correct materially false and misleading financial statements or records; (iii) sign, or permit another to sign, a document containing materially false and misleading information; or (iv) falsely respond, or fail to respond, to specific inquiries of the Company's independent auditor or outside legal counsel. Employees shall take all appropriate action to stop any known misconduct by fellow Employees or other Company personnel that violate this Code. Employees shall report any known or suspected misconduct to the Chairman of the Audit Committee or the Company's General Counsel. External parties including business partners, outsourced services providers, contractors and any other party are encouraged to report any known or suspected violation of this Code, as well as any concerns regarding questionable matters. Company's employees and external parties shall forward complaints on a confidential and or anonymous basis to Company's Audit Committee through the Company's "P.O. Box 61323 15104 Maroussi" established for this purpose. The Company will not retaliate or allow retaliation for reports made in good faith.